With that blog title I might be overegging this a bit, so let’s just call it ‘the once fairly big aqueduct of Paris’ instead. 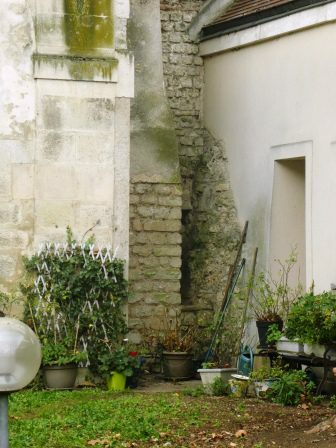 Paris’ Roman remains are a bit hit and miss. 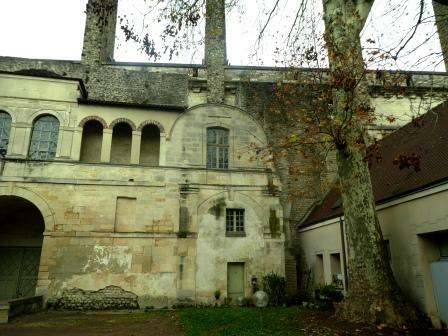 Of ‘hits’, there’s the fabulous bathhouse at Cluny, there’s the amphitheatre, and there are the archaeological remains in the Crypte archéologique on the l’île de la Cité. Of misses, there are many; the city walls now seem to consist of a little chunk in a carpark stairwell and the odd bump in the road and, other than in the aforementioned Crypt, there are no houses to be seen, nothing that looks military, and there’s precious little left, structurally, to do with the trade coming into the city. And then there’s the aqueduct. Any self respecting Roman town had to have an aqueduct, of some sort, to bring the water for all the public baths and drinking fountains, meeting the needs of the Roman ‘metropolitan elite’. 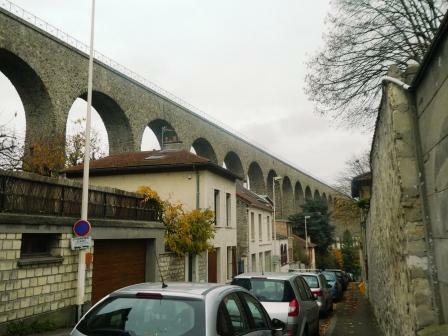 So where is the aqueduct of the Parisii? Well, Lutetia Parisiorum did indeed have an aqueduct. One which covered the 26 or so kms from Wissous (near Paris Orly Airport) to Paris. Built in the 1st c, CE, this aqueduct had a capacity of about 2.000 m3/day, water which fed public fountains, some private houses and, of course, the grand baths at Cluny. Rediscovered in 1903 by Eugène Belgrand and excavated by Louis Tesson, the collecting basin into which the sources fed was uncovered and then covered up again so it isn’t possible to see that. But, on its was to Paris, the aqueduct crossed the La Bièvre river by means of a bridge, a few scraps of which remain. No, not the big obvious structure, cutting its way through the valley. That’s part of the two later aqueducts that run along the same route as the Roman one. 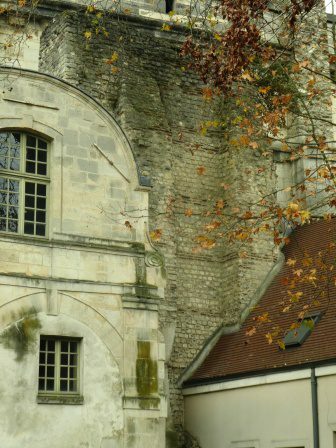 Here we can just see the 1860 Arcueil/Bertrand Aqueduct which sits on top of the lower piers of the 1620 ‘Medicis’ aqueduct. No, I was looking for these scant remains. Can you see them? Yes? No? 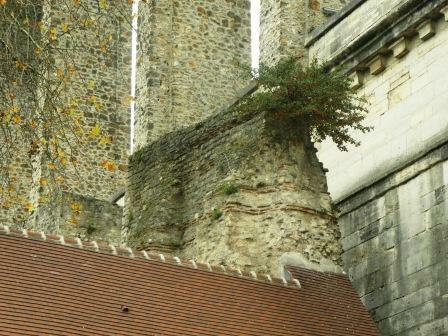 And here’s another little bit sticking up over the top of the buildings that were built up against the later aqueducts. It’s not much, and a bit squashed in between all the later construction, but there it is, the aqueduct of Lutetia. There’s even this, frankly rather random chunk stuck in a wall niche alongside the park. So there you are. They’re not obvious and they’re certainly not pretty and finding them involves tramping round some fairly unremarkable blocks of flats. 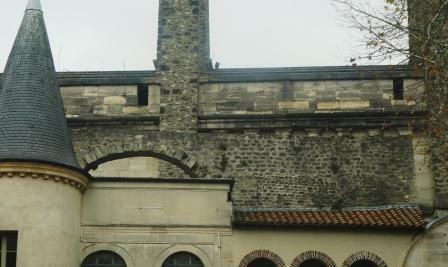 But I went looking for an aqueduct and found three. However, without the bloggy assistance of www.romanaqueducts.info, I’m certain that I wouldn’t have found any of them at all. This entry was posted in Archaeology, France, Romans, The Big Wide World, Uncategorized and tagged aqueduct, Archaeology, France, Paris, Roman. Bookmark the permalink.